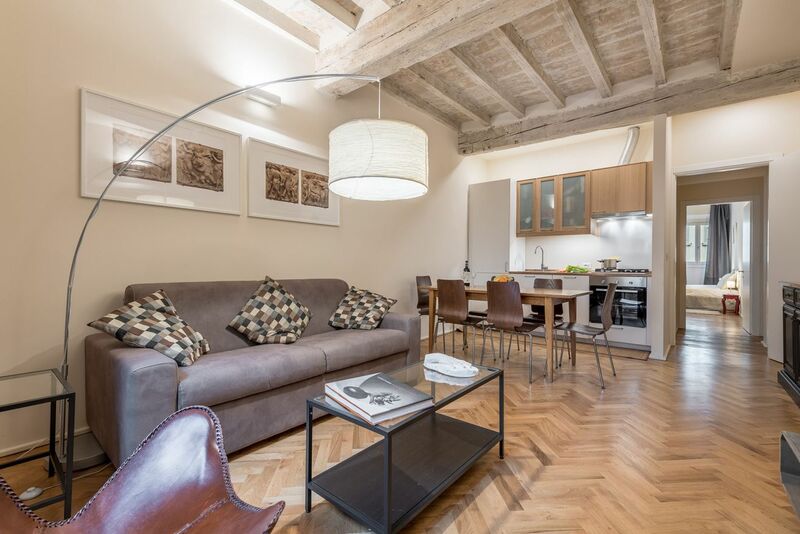 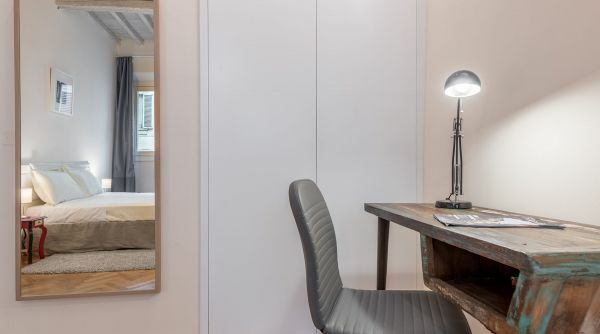 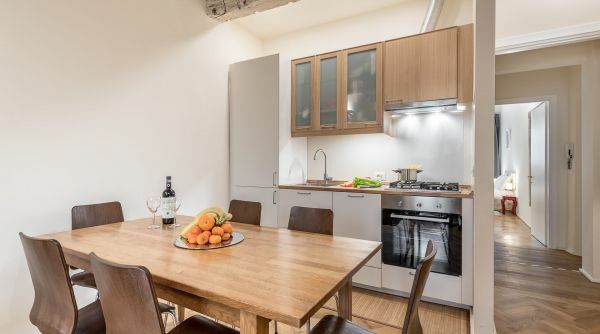 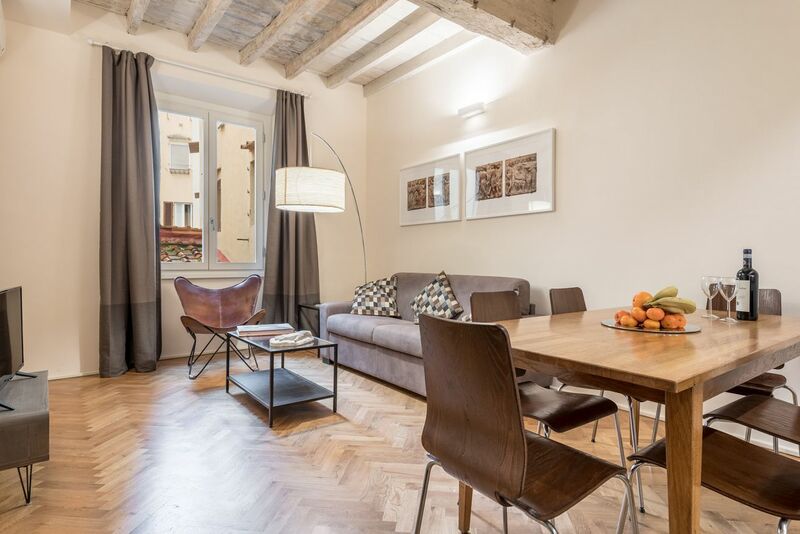 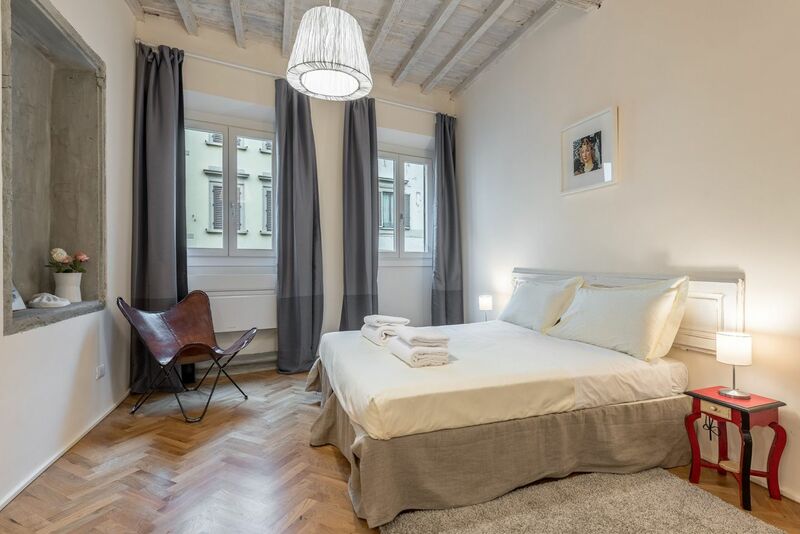 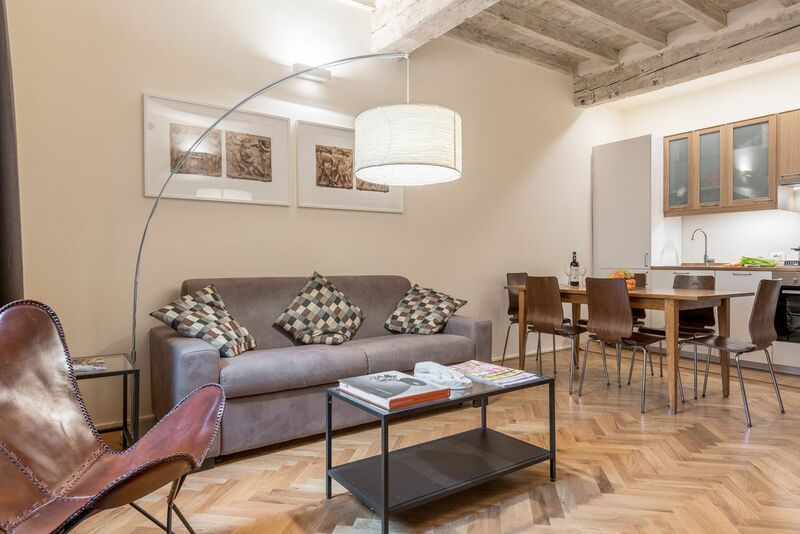 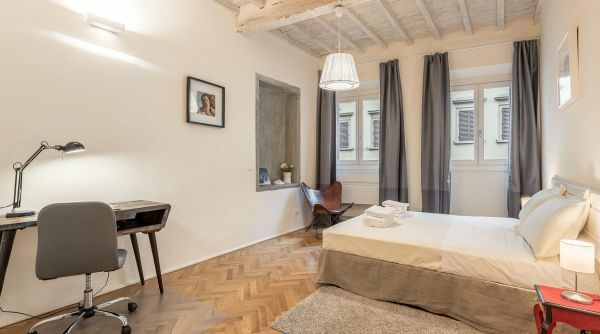 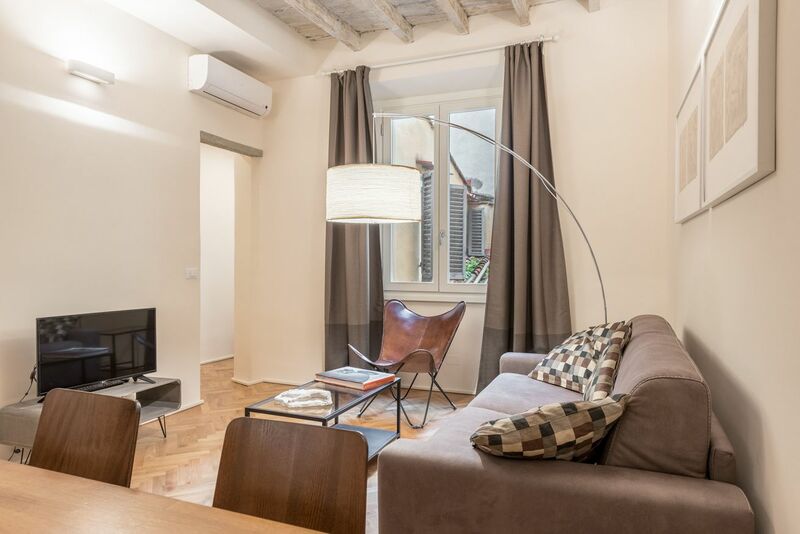 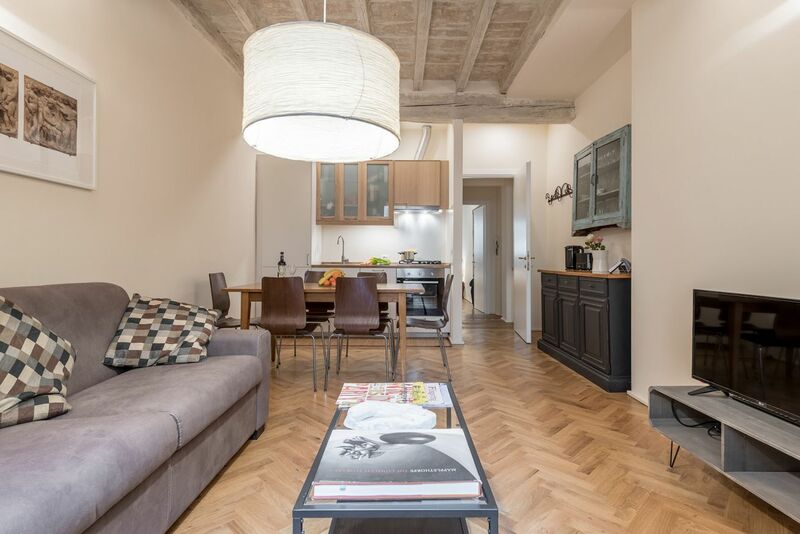 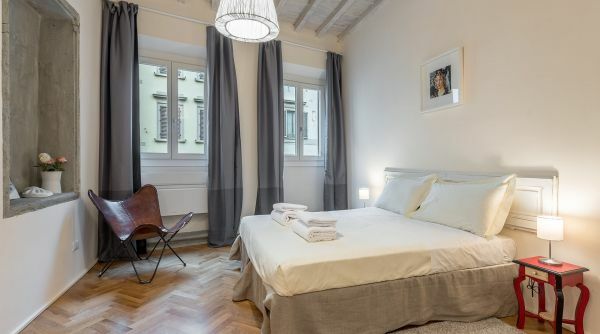 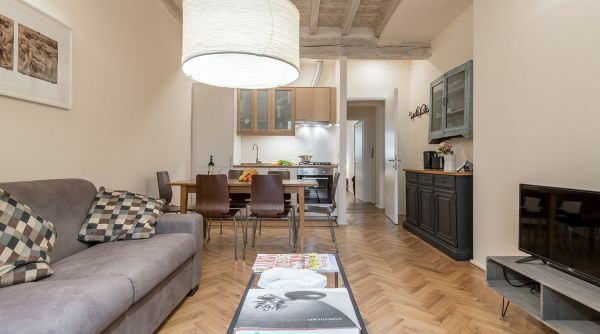 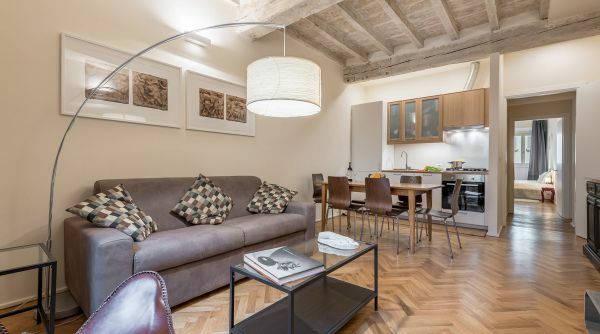 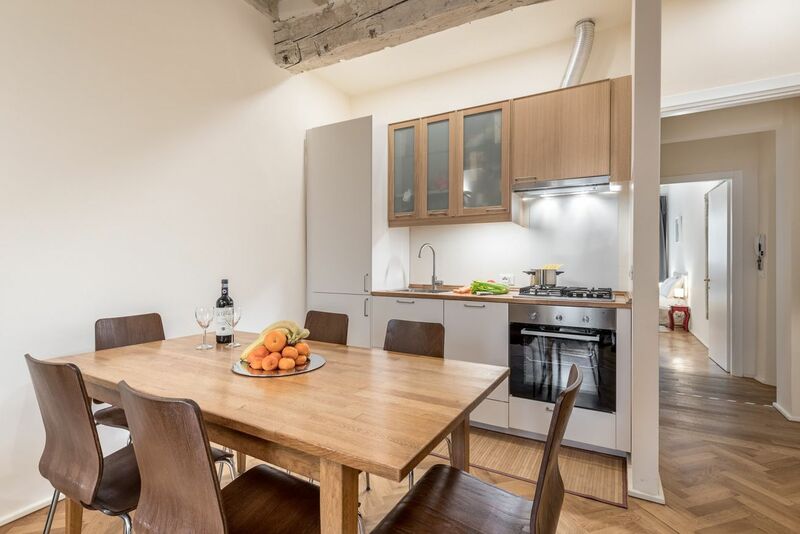 Classy apartment to rent, located in a beautiful building overlooking the very central via Panzani in Florence. 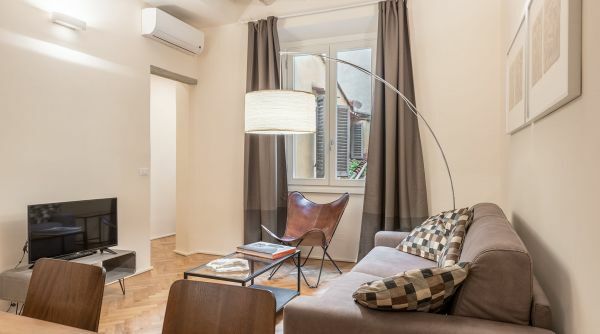 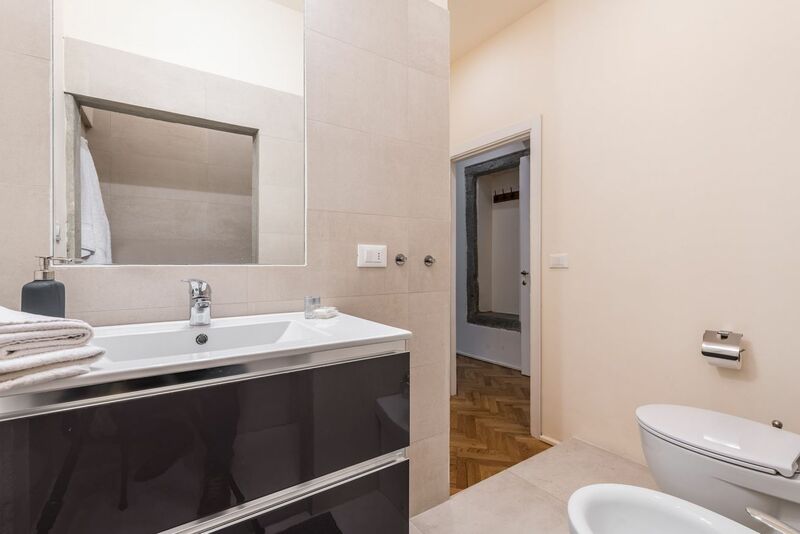 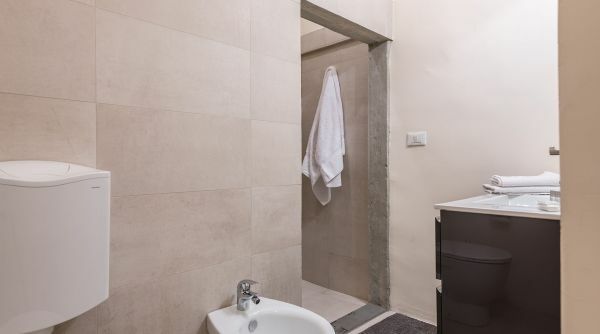 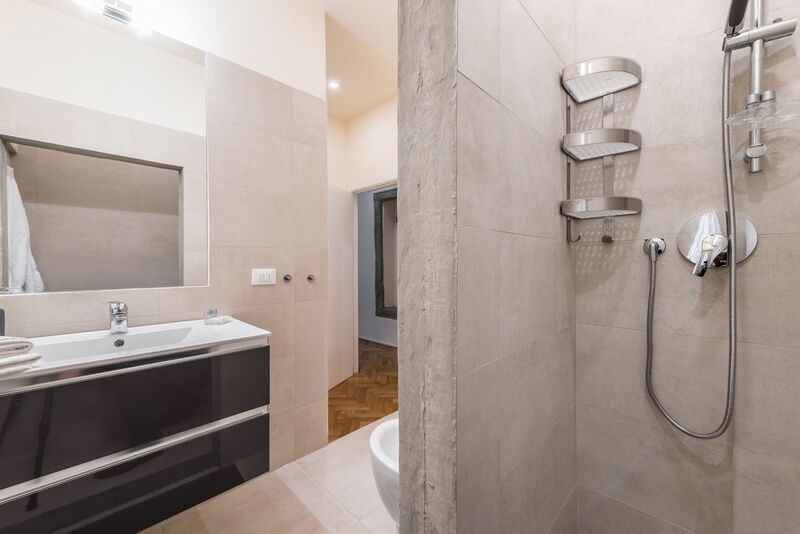 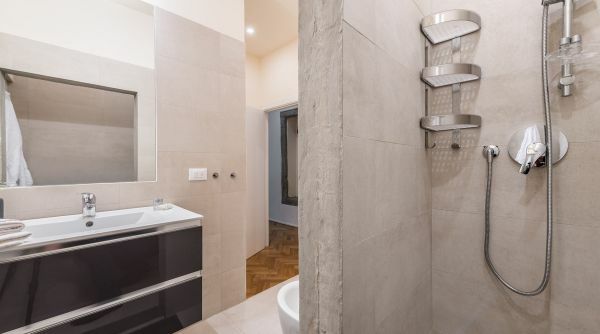 The property was completely renovated and furnished with style and attention to details. 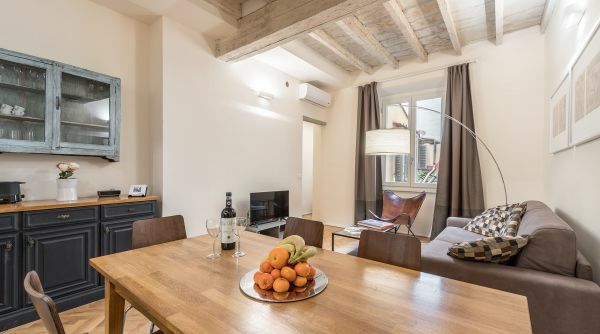 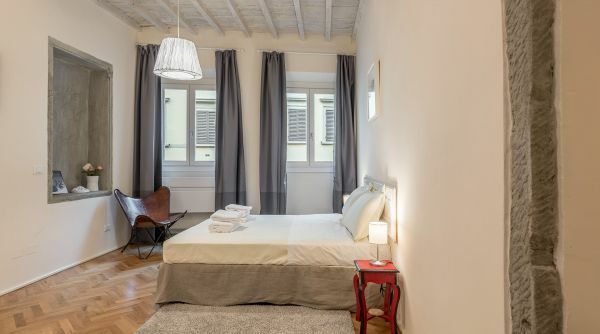 Romantic Novella can comfortably accommodate up to 6 people and is composed by two double bedrooms, a beautiful living room with kitchen, dining table, double sofa bed and flat screen TV and two full bathrooms with shower. 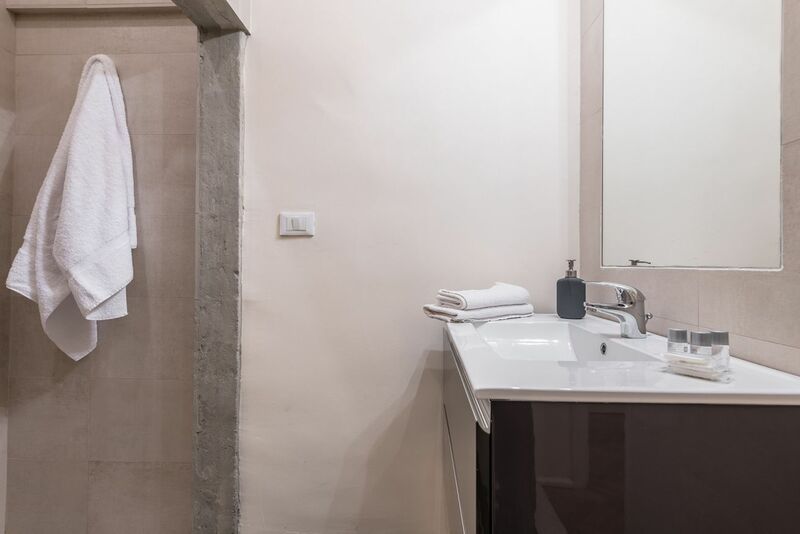 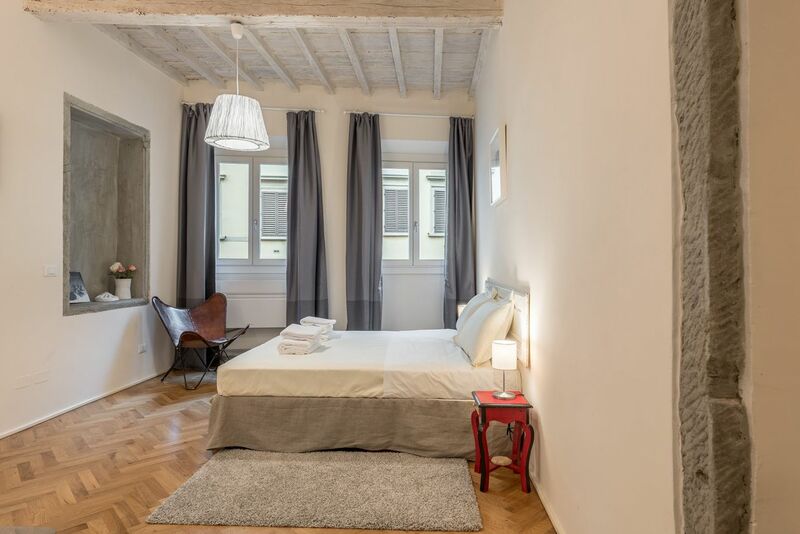 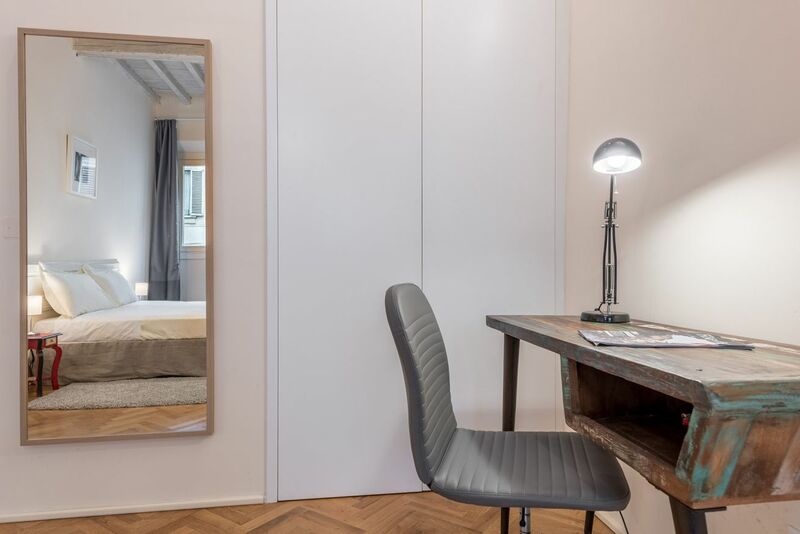 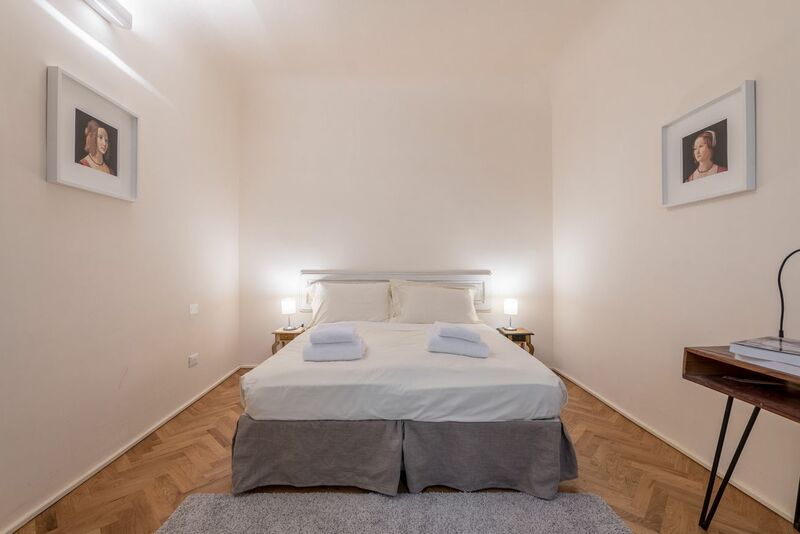 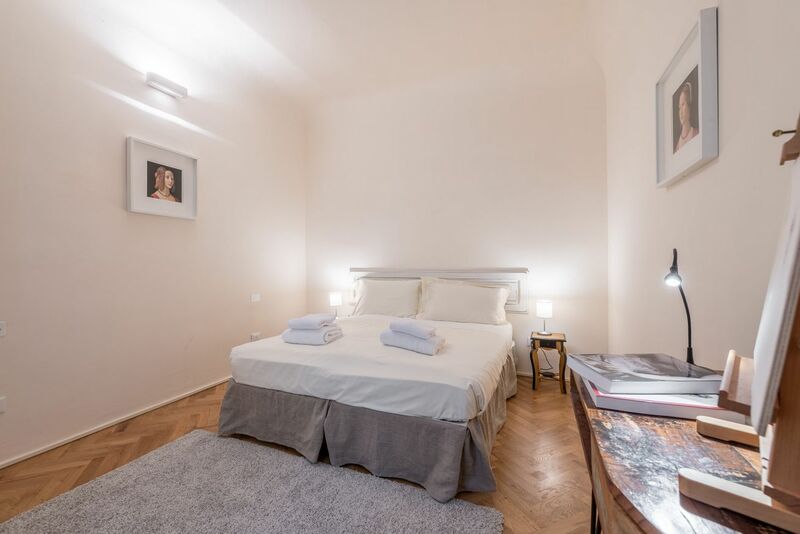 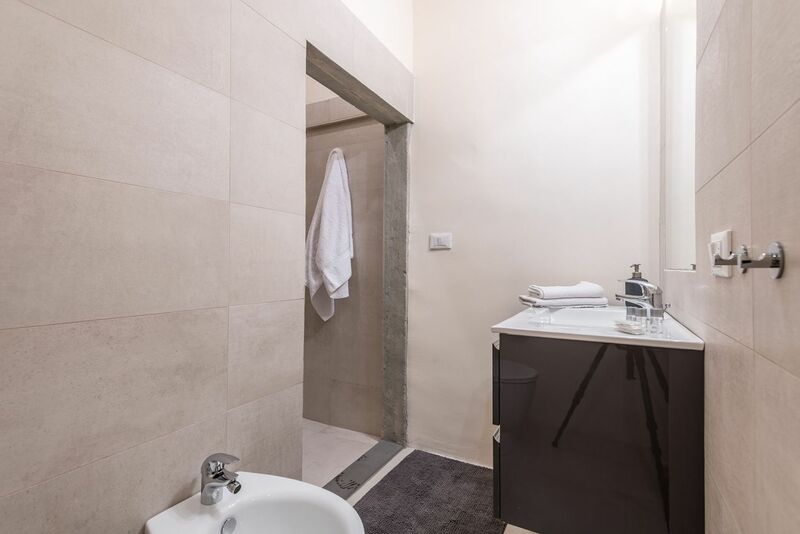 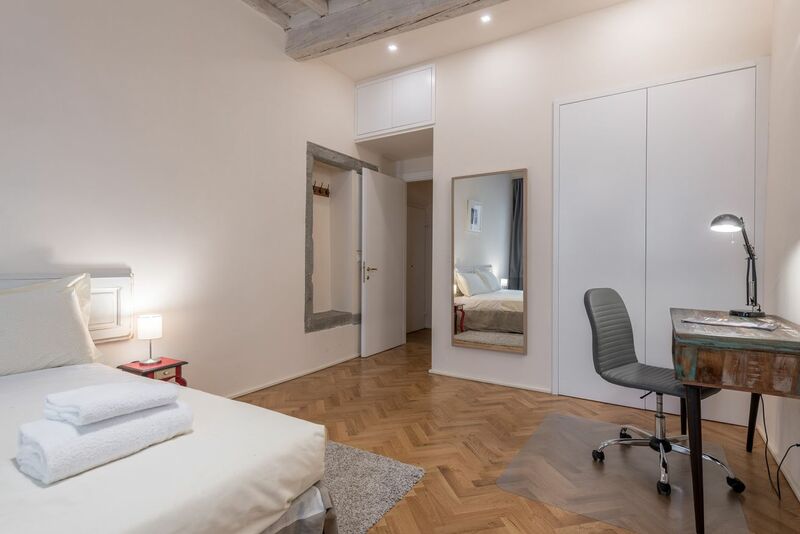 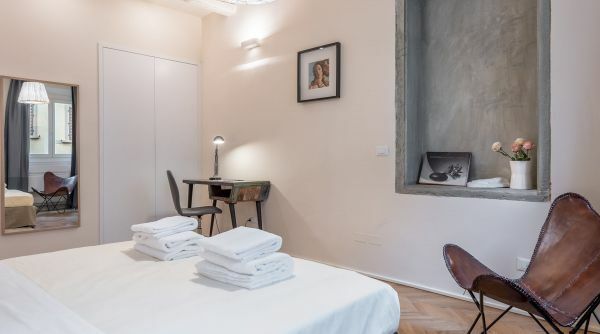 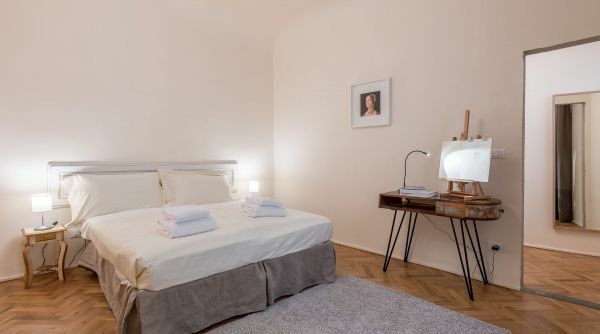 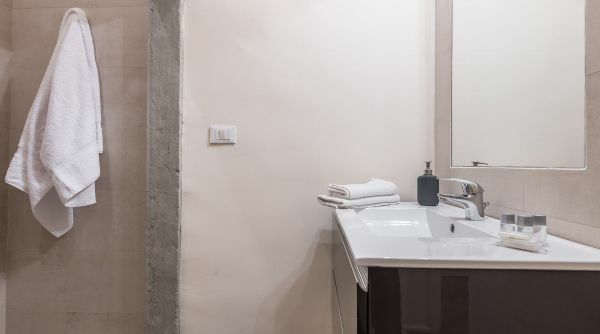 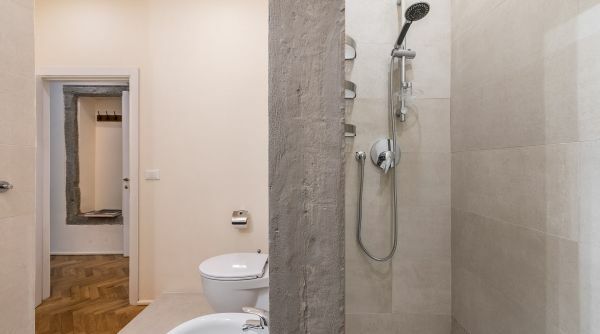 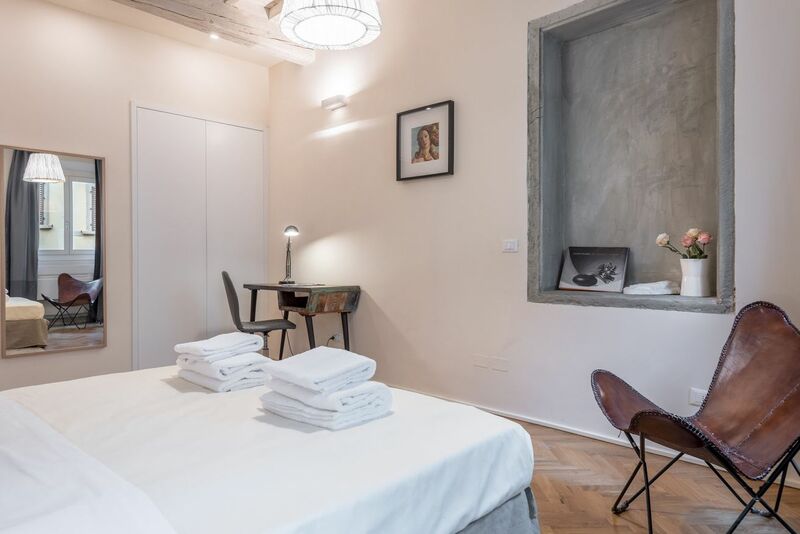 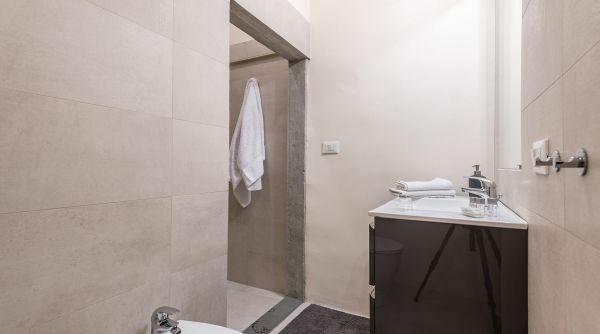 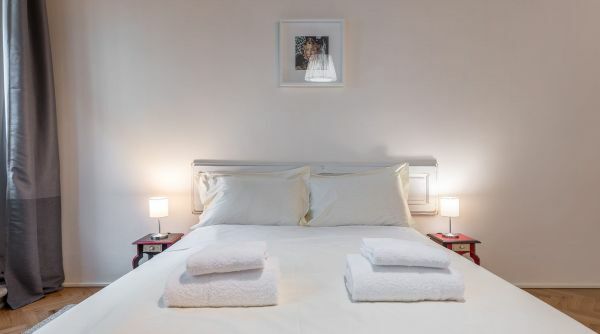 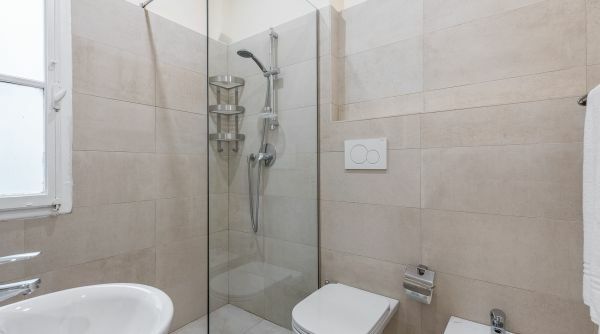 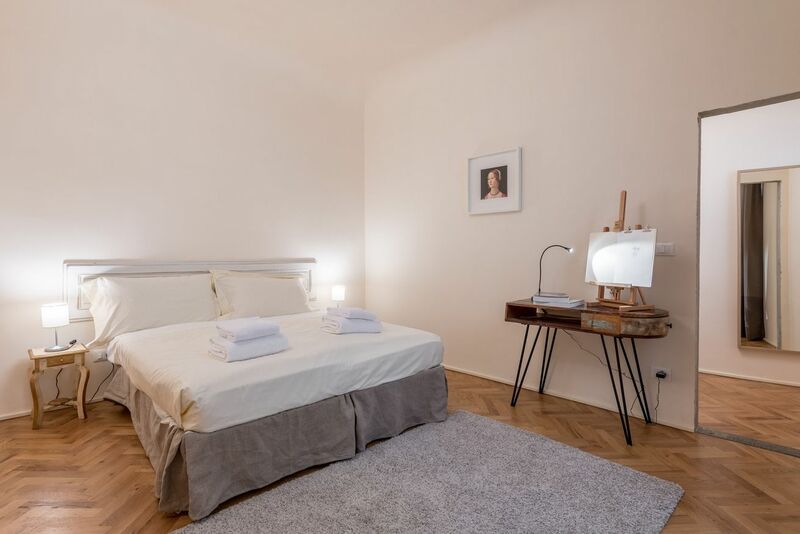 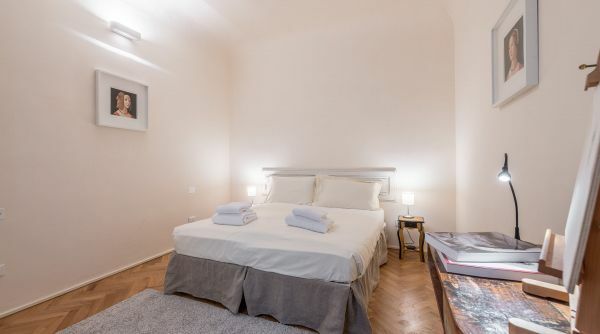 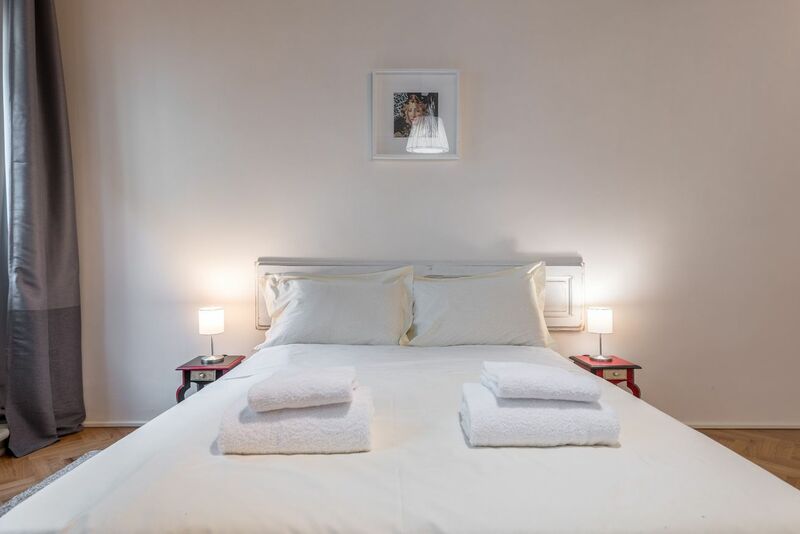 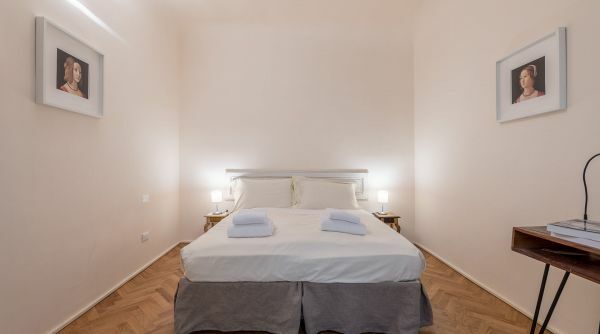 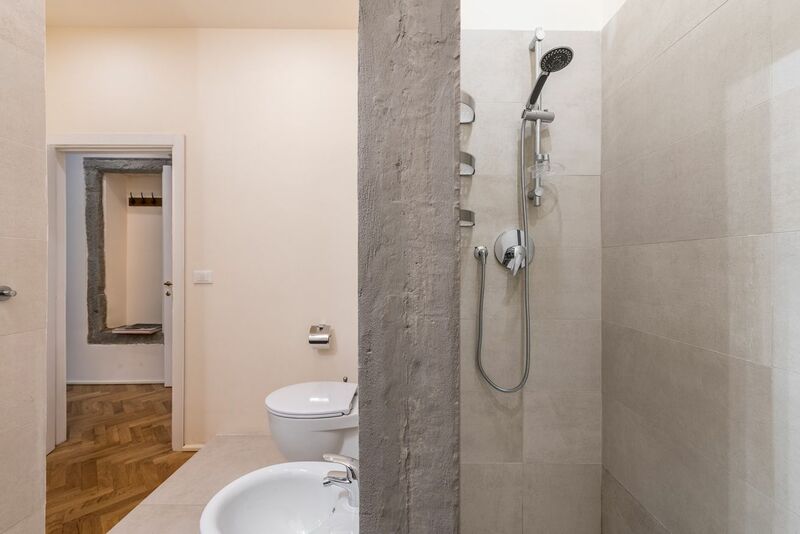 The apartment was renovated and equipped with every comfort to grant you the best stay in Florence. 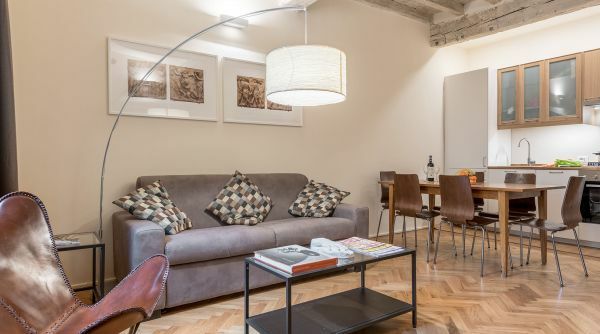 Among the many amenities, you will find air conditioning and internet Wi-Fi. 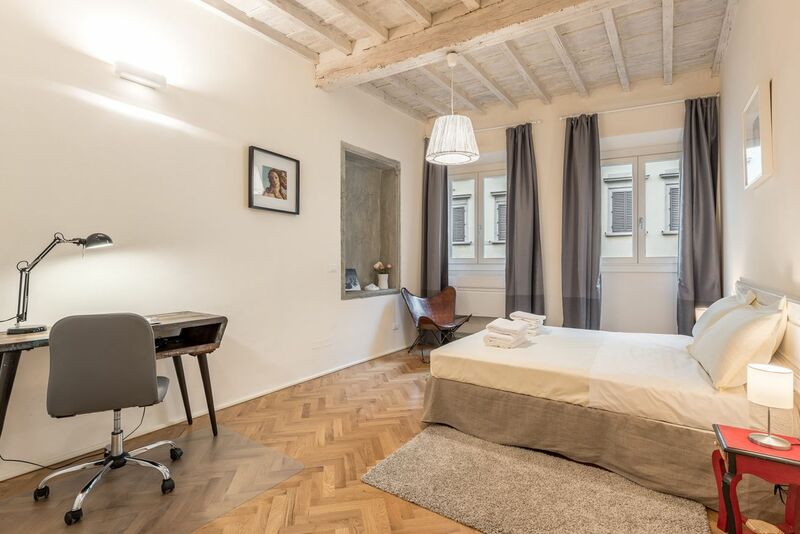 The apartment Romantic Novella is in a strategic position in the historical city center of Florence. 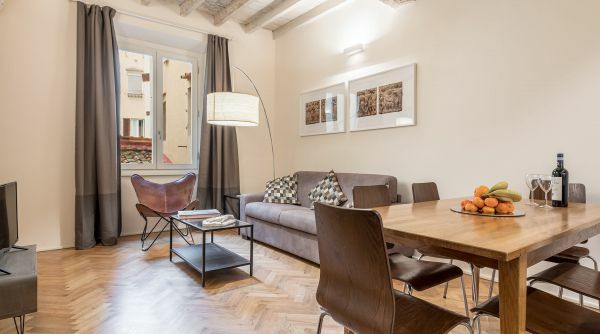 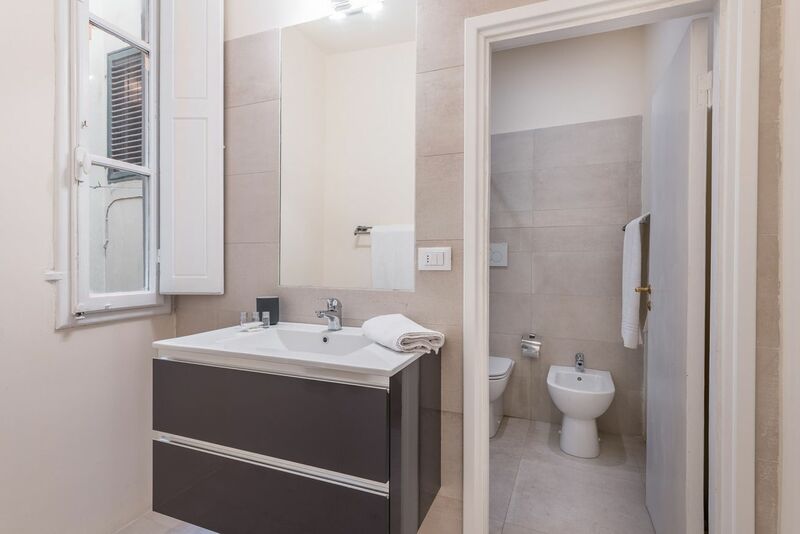 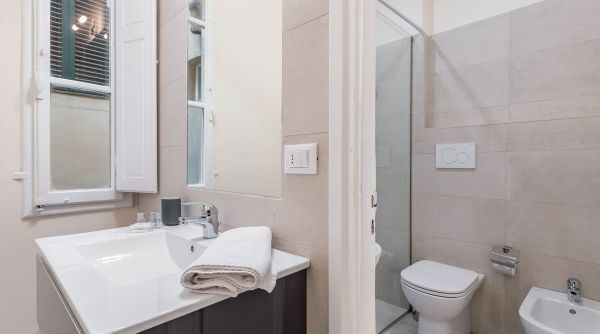 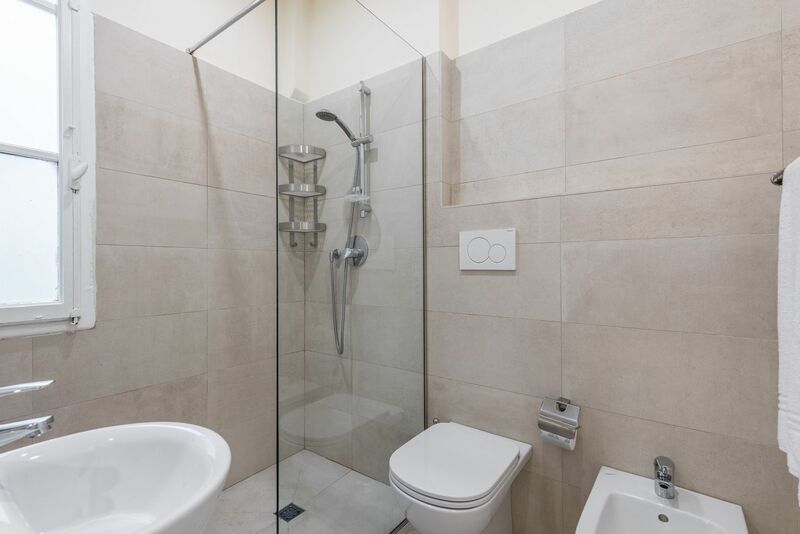 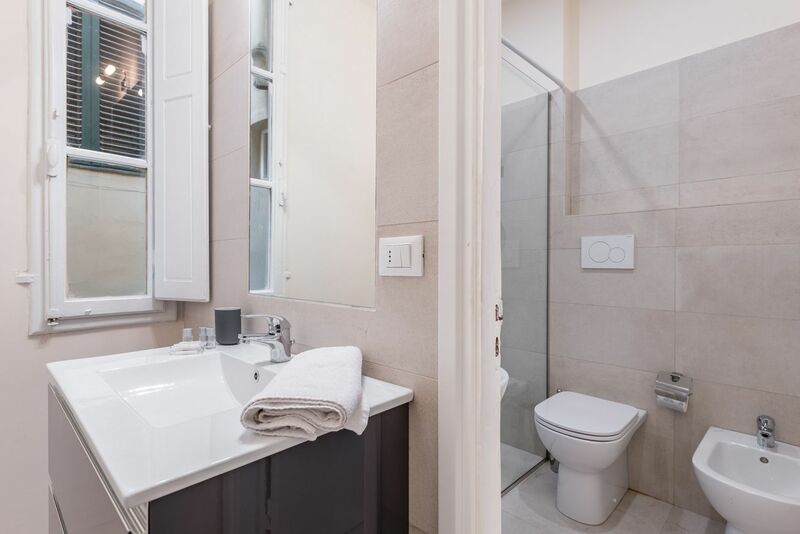 The house is just feew steps to the main train station of Florence, Santa Maria Novella, and to all the most important monuments of the city as the Duomo, Ponte Vecchio, the Uffizi Gallery and Palazzo Vecchio. 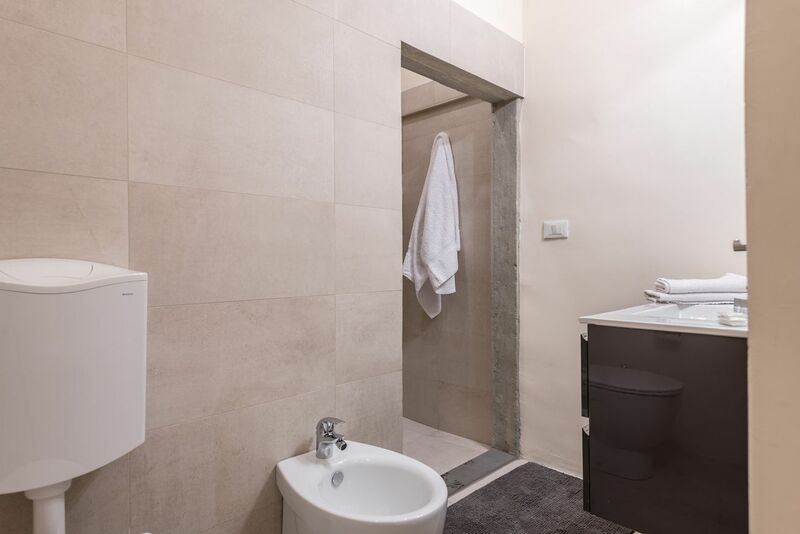 All around you will find many shops, restaurants and also supermarkets. 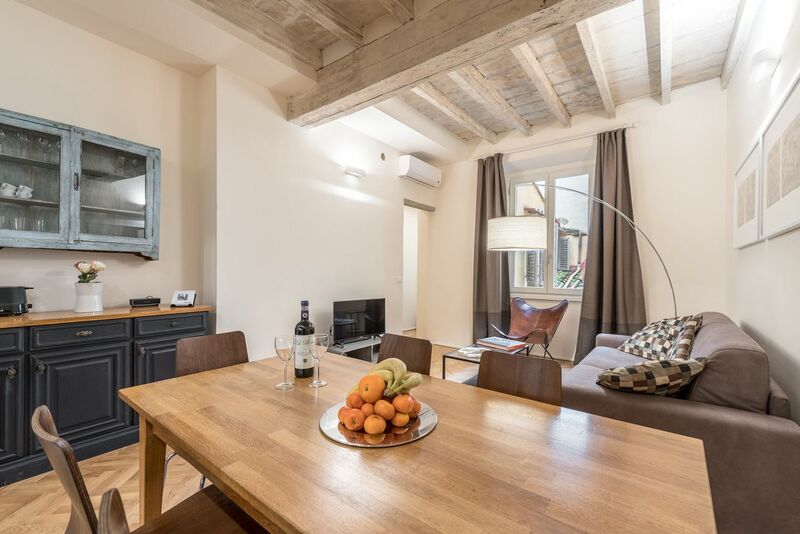 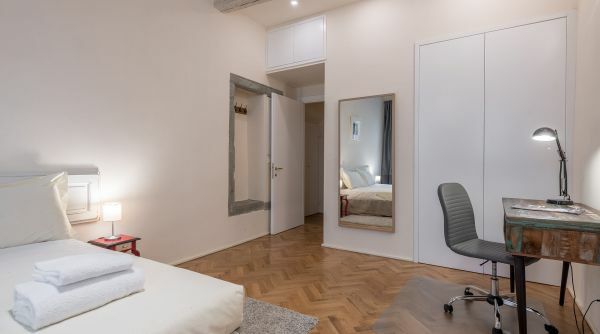 The apartment is only 400 metres from the central train station of Florence, Santa Maria Novella, less than 5 minutes walking distance!